After being featured on ABS CBN‘s Rated K Father’s day special, Starmobile named the price of their latest Android smartphone called Starmobile Knight. This is best smartphone from Starmobile so far in terms of specifications and design, it has 4.7-inch HD display under Corning Glass screen and its look resembles like an iPhone 5. 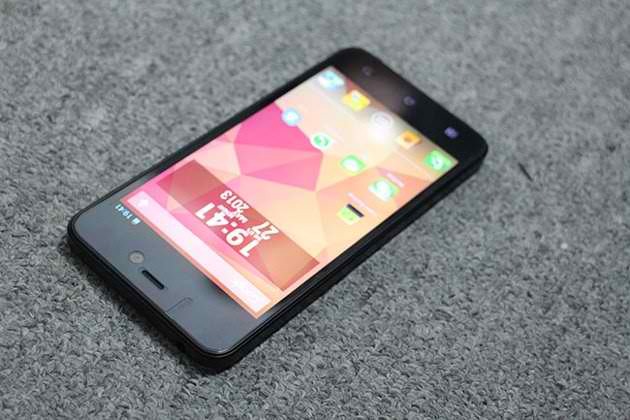 Also considered as the lightest and thinnest dual SIM quad core phone offered by one of our local brand here in Philippines. The quad processor is made of Mediatek MT6589 at 1.2 Gigahertz along with 1GB RAM for faster device multi tasking functions. One of the features that made Starmobile Knight reach that price is the 18 megapixels rear camera, which is to be confirm if there is an added software interpolation and the 8-megapixel front camera both with BSI for night sensor. Starmobile Knight smartphone tops from other local manufacturer like Cherry Mobile, MyPhone, O+, Torque and DTC on that camera feature only. Added to that is the updated Android Jellybean 4.2 OS and the Corning Gorilla Glass screen, the rest are basic features of a quad smartphone just like what other local brand offers. So if you’re fond of taking pictures using mobile then you can have this a your option, I think price is worth. You can’t have a phone like this that offers great specs and features on below 12,000 price. Though we have not seen the photo quality of this device, Starmobile claims that it has 18 megapixels so we do expect it also offers quality of that level. Aside from those megapixels, Starmobile Knight has Wi-Fi, 3G, HSPA+, Bluetooth and GPS in terms of device connectivity. Storage also gives you 4GB internal and supports up to 32GB on microSD. The battery power is non-removable 2000mAh, which I think good enough to last for 1 day on basic use. By the way, Stramobile Knight is a rebranded i-mobile IQX of Thailand. See full specs on our previous post here.